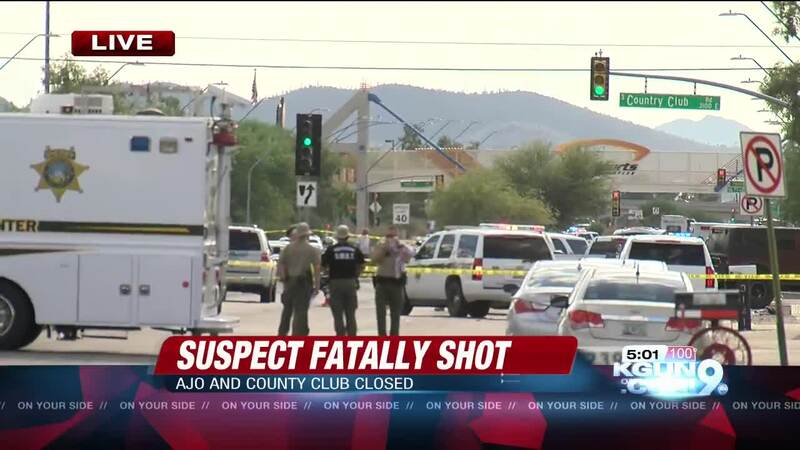 A Pima County Sheriff's deputy was involved in a shooting near Ajo and Country Club Tuesday after attempting a traffic stop in the 3100 block of east Ajo. The deputy approached the vehicle and made contact with the suspect, identified Wednesday as Juan Manuel Correa-Leyva. During the interaction between the two, Correa-Leyva attempted to flee, resulting in the deputy being dragged a short distance. PCSD say Correa-Leyva then fled west towards Country Club, but was stopped by traffic at the intersection. The deputy followed, approaching him on his motorcycle. Correa-Leyva exited the vehicle, fired one shot at the deputy and struck him in the leg. The deputy fired back, killing Correa-Leyva. The deputy has been identified as Jose Velasco. He was released from the hospital after undergoing treatment at Banner UMC for non-life-threatening injuries. The intersection of Ajo Way and Country Club was closed in all four directions.